First-time recognition for leading the industry’s most innovative and successful project partnerships between operators and vendors. MIAMI, FL – June 15, 2017 – C&W Networks, part of C&W Communications (C&W), was recently recognized for outstanding industry leadership in wholesale service innovation as it won the Wholesale Service Innovation worldwide award category in the Global Telecom Business (GTB) Telecoms Innovation Awards 2017 in London. C&W Networks, which provides world-leading wholesale telecommunications products and services to over 40 countries in the Caribbean and Latin America, was chosen from a group of prestigious companies for providing exceptional value-added solutions to an enterprise customer, in the banking industry, that operates throughout the North American region. “I’m proud to accept this award on behalf of the C&W Networks team for leading the industry’s most innovative and successful partnerships between operators and vendors,” said John Reid, CEO of C&W Communications, picking up the award. “As part of our commitment to innovation, we’re continually evaluating the rapidly evolving marketplace to determine what solutions are needed to help customers meet their business and communications goals. We are proud that our hard work has resulted in such acclaim,” added Reid. C&W Networks’ project consisted of providing a Canadian telecom and their end customer, a Canadian financial institution, with a next-generation MPLS network to implement a technology plan in the Caribbean. The network includes six classes of service and diverse primary and backup fiber optic circuits, as well as satellite services where additional diversity was required or where fiber optic diversity was not available. The project goal, as set out by the end customer, was to migrate the customer’s extensive network of locations throughout the Caribbean to this new state-of-the-art network platform in a timeframe of 18 months, including completion of a proof of concept and pilot in addition to the full-scale migration. 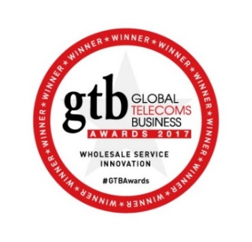 The GTB Telecoms Innovation Awards 2017, organized by Global Telecom Business, were presented on May 23, 2017, at the Marriott Hotel Grosvenor Square in London. ￼The prestigious ￼annual event is designed to honor innovative projects involving telecom operators and service providers around the world, in association with their vendors and suppliers, and recognizes the industry’s commitment to deliver exciting and innovative services to its customers worldwide. “We had a superb range of projects nominated for this year’s awards, the eleventh time Global Telecoms Business has presented our annual Innovation Awards. Each year since 2007 we’ve seen how the industry is getting more innovative and more imaginative about serving customers as technology advances, said Alan Burkitt-Gray, Executive Editor of Global Telecoms Business and Capacity. C&W Networks operates the largest state-of-the-art subsea multi-ring fiber network that includes more than 48,000 kilometers and 60 sub-sea cable stations. Combined with over 38,000 kilometers of terrestrial fiber across the region and a fully meshed MPLS overlay fabric, this integrated network is the most extensive and most reliable service delivery platform in the greater Caribbean, Central American and Andean region. 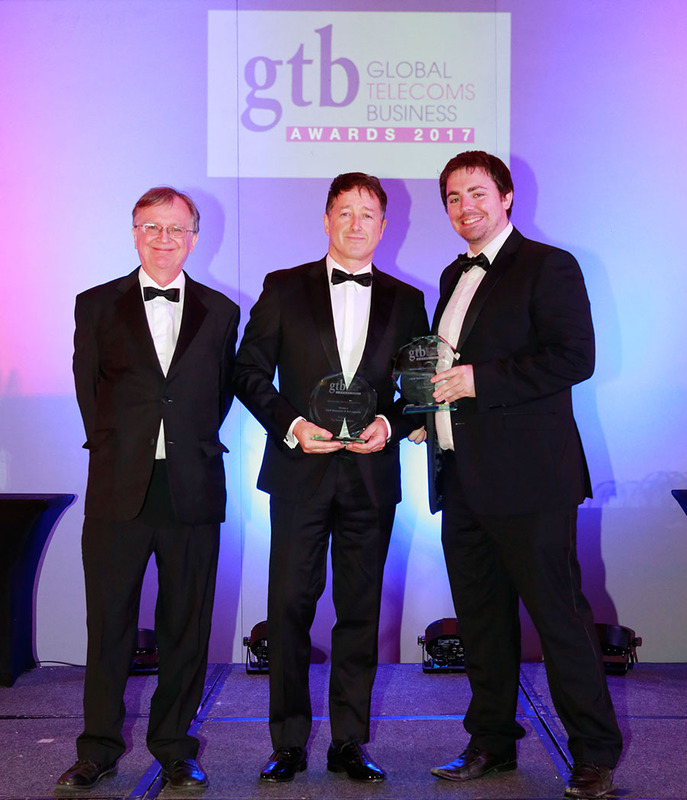 Caption (middle): John Reid, CEO, C&W Communications accepts the Wholesale Innovation Award from Global Telecoms Business, May 23, 2017, Marriott Hotel Grosvenor Square, London. Photo Credit: Gareth Davies/Global Telecoms Business. C&W Networks is a wholly owned subsidiary of C&W Communications and a wholesale telecommunications service provider that offers broadband, IP capacity and a growing portfolio of managed services and integrated solutions to global, regional and local telecom carriers, TV cable companies, Internet Service Providers and Network Integrators. C&W Networks operates the largest subsea multi-ring fibre-optic network throughout the greater Caribbean, Central American and Andean region along with the most comprehensive fully meshed MPLS network in the region. Connecting over 40 countries, the company’s fully protected ringed submarine fibre optic network spans more than 48,000km. Cable routes include the Caribbean Optical-ring System (ARCOS- 1), Colombia-Florida Express (CFX-1), EC-Link cable system, Fibralink, Maya 1, Eastern Caribbean Fiber Express (ECFS), Taino-Carib, East-West, Cayman-Jamaica Fibre system, Caribbean-Bermuda U.S (CBUS), Americas II, Gemini Bermuda, Pan America (PAN-AM), Antillas 1 and Pacific Caribbean Cable System (PCCS). For more information, visit: www.cwnetworks.com. Liberty Global is the world’s largest international TV and broadband company, with operations in more than 30 countries across Europe, Latin America and the Caribbean. We invest in the infrastructure that empowers our customers to make the most of the digital revolution. Our scale and commitment to innovation enable us to develop market-leading products delivered through next-generation networks that connect our 25 million customers who subscribe to over 50 million television, broadband internet and telephony services. We also serve over 10 million mobile subscribers and offer WiFi service across 6 million access points. Liberty Global’s businesses are comprised of two stocks: the Liberty Global Group (NASDAQ: LBTYA, LBTYB and LBTYK) for our European operations, and the LiLAC Group (NASDAQ: LILA and LILAK, OTC Link: LILAB), which consists of our operations in Latin America and the Caribbean. The Liberty Global Group operates in 11 European countries under the consumer brands Virgin Media, Unitymedia, T elenet and UPC. The Liberty Global Group also owns 50% of VodafoneZiggo, a Dutch joint venture, which has 4 million customers, 10 million fixed-line subscribers and 5 million mobile subscribers. The LiLAC Group operates in over 20 countries in Latin America and the Caribbean under the consumer brands VTR, Flow, Liberty, Más Móvil and BTC. In addition, the LiLAC Group operates a sub-sea fiber network throughout the region in over 30 markets.